I am the biggest fan of ‘God’s own country’, Kerala. I have visited the South Indian state at least five times. Well, one would think I should be tired of the land by now. I would think that too. But the irony is that each time I visit the place I more intrigued as every trip gives me a new experience. That is probably why each and every trip to Kerala seemed fresh. Would you believe if I told you that all the five trips gave me a chance to visit a set of unique spots each time? Those who have been to Kerala would definitely believe it, but I doubt whether you would. And guess what I am not done yet. I am all set to go for the next one. 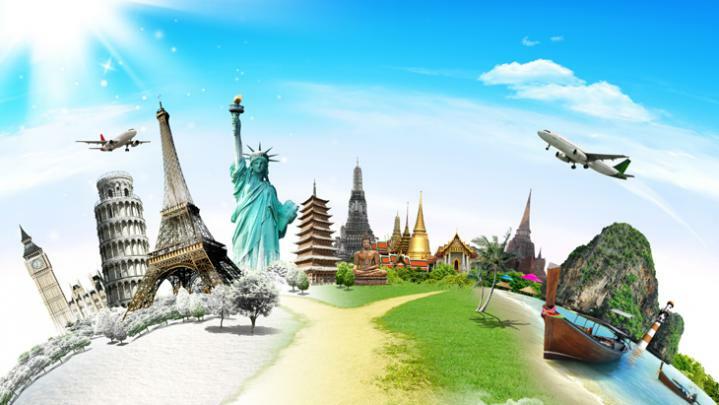 `Luckily, my travel planner Lelagoon Holidays offer tour packages to Kerala from Hyderabad, which is my hometown. I avail of the particular package whenever I go to Kerala. Last time I toured around Kollam district of Kerala and I was in awe of the place. I hadn’t heard much about Kollam which is why I was surprised to find out so many breathtaking scenic beauties, parks, temples and many more destinations that satisfy a traveler’s heart. This district is truly one of a kind. As a traveler, I am so glad I visited this wonderful destination. Kollam ought to be added into your itinerary or else you will miss a great deal. Here are some of the best tourist destinations in Kollam that are going to blow you away. 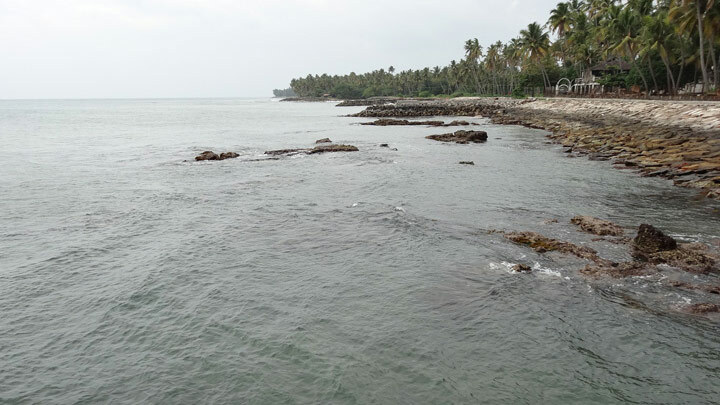 Kollam is home to a wonderful island named as Monroe Island. The Munroe Island was named after Col. Munroe, who was a British resident of Travancore state. Monroe Island is a very tiny island lying at the junction of Ashtamudi Lake and the Kallada River. The island is a bedazzling beauty adorned by the most beautiful blend of luscious greenery and the crystal clear waters. Such is the beauty of the place that it is quite hard to take your eyes off the ravishing sight. 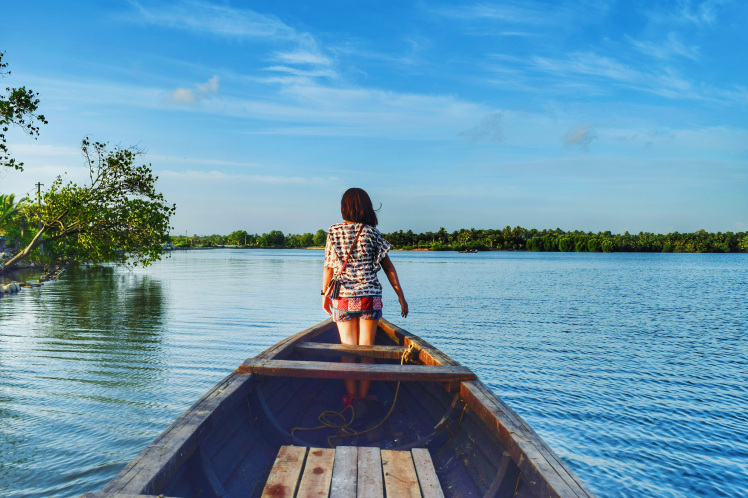 The most popular tourist activity of the island is the canoe tours conducted, where you can cruise the waters and gaze at the wonderful scenery that Nature offers. Another attraction of this island is the Dutch Church that is located on the banks of Ashtamudi. The church depicts a perfect blend of Keralite and Dutch architecture that arouses the curiosity of art lovers. One should not miss the Monroe Island when in Kollam as it is going to be one unique experience. Make sure you get this wonderful destination added to your travel itinerary. The island can be considered as one of the most beautiful offbeat destinations in Kolam. Kollam Beach otherwise named as Mahatma Gandhi Beach is an amazing place to spend some quality time with your family. The Thangassery Lighthouse or The Dutch Quilon is situated in this particular beach and that is one of the main attractive features of the beach. Another attraction of the beach is the Mahatma Gandhi Park that is located adjoins to the beach, making it a favorite spot for the kids as well. The beach also offers mesmerizing sunsets and sunrise scenes too. A marine aquarium project is underway here. Soon, the beach is going to be one of the best tourist spots in Kerala. Alappuzha might be the district in Kerala that probably has a huge number of backwaters, but when it comes to the most visited lake or backwater in this little coastal state of Kerala, then Kollam ranks first. Ashtamudi Lake of Kollam district is the most sought-after lake in Kerala. According to me every trip to Kollam should start from this stunning destination. The waterways tinged by a mesmerizing shade of blue crisscross the lush green lands adorned by groves of swaying coconut trees and little cottages. The name Ashtamudi means ‘eight coned’ in Malayalam. 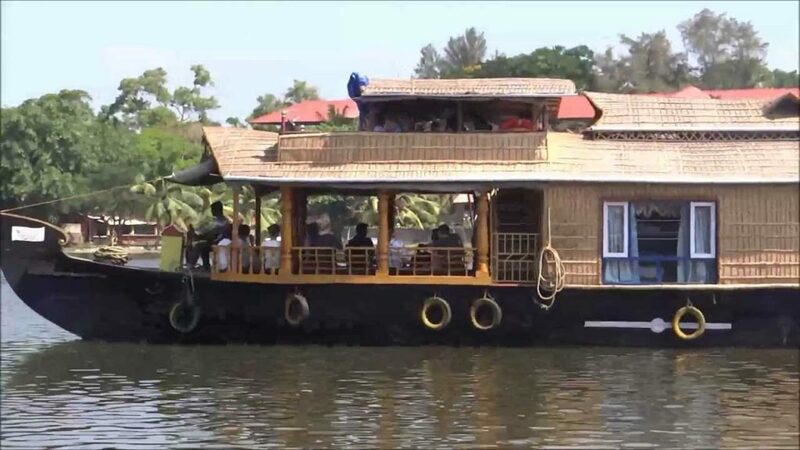 Cruising the Ashtamudi Lake in a houseboat is one of the best things to do in Kollam. 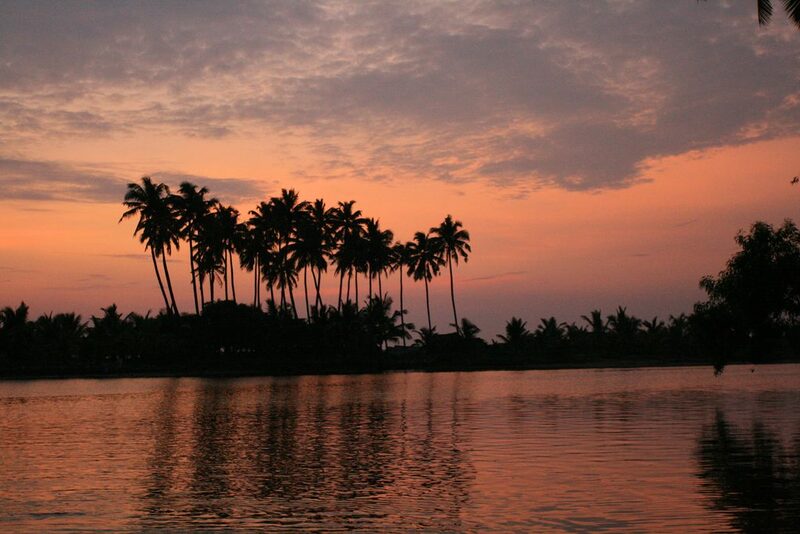 You should not miss the sunset while in Ashtamudi Lake, it offers a very beautiful view of the sunset. Mayyanad is a quiet village in Kollam which is slowly emerging as one of the popular tourist destinations of the area. The village is particularly famous for its temples and shrines. The village is located at a distance of 10 km from Kollam and houses nine temples that are extremely famous and important. Devotees from various parts of the state come in search of these temples. The most significant of all these is Lord Subramanian Temple. Mayyanad lies on the banks of the Paravur Lake. The village also possesses some of the oldest temples in Kerala with unique architectures. Mayyanad also has some very famous churches and mosques too. Who doesn’t love a beautiful waterfall? 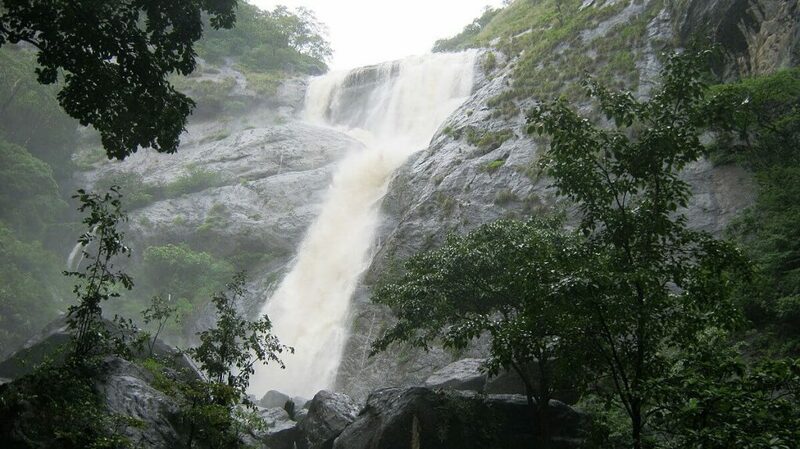 Kollam, like any district of Kerala, houses a phenomenal waterfall called the Palaruvi. True to its name, Palaruvi gushes out like a stream of frothy milk. 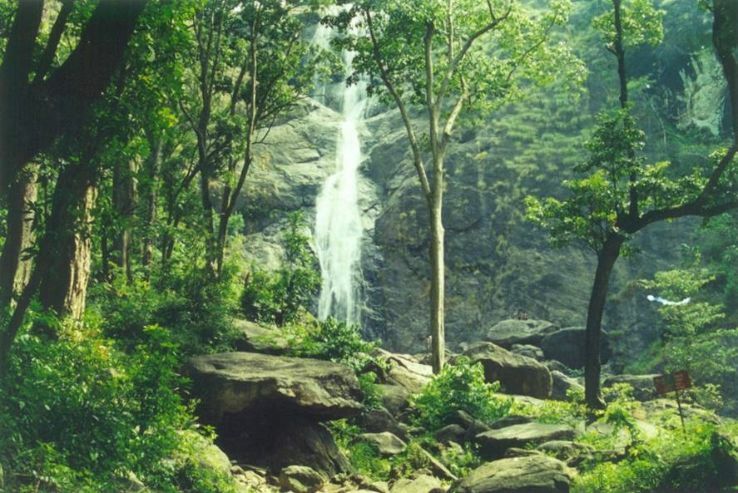 This amazing waterfall is situated in the Kollam-Shencottah Road. The waterfall is humongous and falls from a height of 300ft. The best time to visit this wonderful destination would be from June to January. The Palaruvi falls is a wonderful picnic spot where you can indulge in a fun-filled time swimming and bathing in its cool waters. Another fact about this splendid waterfall is that it stands in the 32nd position when considering the highest waterfalls of India. The waterfall is also said to have some Ayurvedic properties. Palaruvi is a popular honeymoon spot in Kerala and travel planners include it in most of their honeymoon tour packages which makes it much convenient for honeymooners. Whatever you do while in Kollam do not miss the Jatayu’s Earth Centre. It is a very unique tourist destination in the place. Recently constructed, the Jatayu Nature Park is a rock-themed park in Kollam. The park is all set to give the tourists the best experience ever. The park houses a cable car, a 6D theatre and much more. But the most attractive feature of the park is none other than the humongous statue of the bird that has been sculpted on the hilltop. The park promotes adventure tourism and also an insight into Indian Mythology. 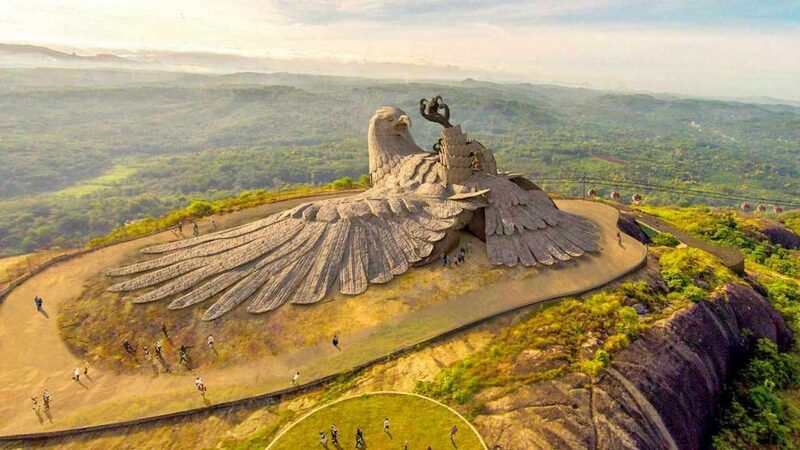 The giant bird statue depicts ‘Jatayu’ the character from Ramayana. When you are there do not miss visiting the Ayurvedic Cave Resort. Within a few years, this park is going to be one of the best tourist destinations in the world.